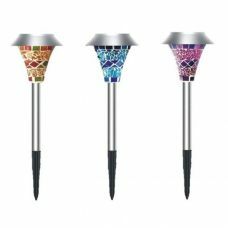 decorative solar lights There are 44 products. Solar Fairy Lights String 500 LED Outdoor Decoration Party Decoration for Christmas Xmas Easter Festival Wedding Birthday Party Outdoor Holiday Style Backyard Garden House Trees energy efficient Solar Panel with pre-installed rechargeable battery variety of colors. 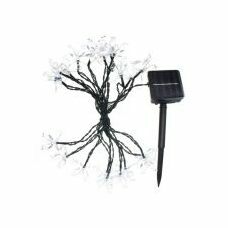 Solar Power Colorful Flower String Fairy Lights 50 LED 4.8m Party Decoration for Christmas Xmas Easter Wedding Birthday Party Outdoor Holiday Style Backyard Garden House Trees energy efficient Solar Panel with pre-installed rechargeable battery variety of colors. Solar Power Colorful Sticks Strip String Fairy Party Lights 20 LED 5M Decoration for Christmas Xmas Easter Festival Wedding Birthday Party Outdoor Holiday Style Backyard Garden House Trees energy efficient Solar Panel with pre-installed rechargeable battery variety of colors Adjustable Lighting Modes. Solar Power Party Lights 400 LED Fairy String Multicolor Lights Decoration for Christmas Xmas New Year Easter Valentine’s Day Wedding Birthday Party Backyard Garden House Trees Decoration with pre-installed energy efficient rechargeable battery Two lighting glimmering modes. Solar Power Party Lights Cristal Balls Fairy String 20 LED 4.8m Decoration for Christmas Xmas New Year Easter Wedding Birthday Party Outdoor Backyard Garden House Trees energy efficient Solar Panel with pre-installed rechargeable battery variety of colors. Solar Power Party Lights Fairy String 100-200 LED 12-18M Multicolor Decoration for Festival Christmas Xmas New Year Wedding Birthday Party Backyard Garden House Trees with two lighting glimmering modes. 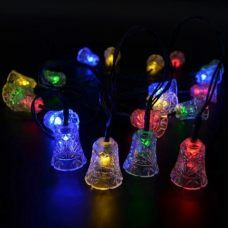 Solar Power Small Bells String Party Light 20 LED 4.8m Decoration for Christmas Xmas New Year Easter Valentine’s Day Wedding Birthday Party Outdoor Backyard Garden House Trees energy efficient Solar Panel with pre-installed rechargeable battery Variety of LED colors. 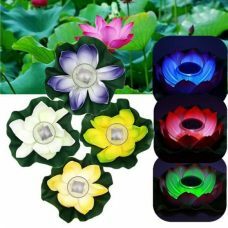 Solar garden light Multicolor Waterproof Floating Lotus Flower LED Light powered by Solar for outdoor decoration. 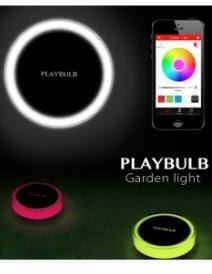 It is suitable for a garden, a pool, a pond, and other areas around the house. Solar Floating Pond Nightlight has the highly-efficient solar panel, pre-installed rechargeable battery, colour-changing LED bulb, and built-in automatic light sensor to activate illumination at night. Original design, festive and romantic appearance. 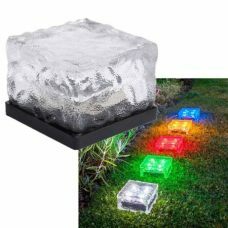 Color-changing fully waterproof floating Lotus Flower LED Light powered by Solar for outdoor decoration pool, pond, of a fountain in the garden. High-quality durable weather resistant materials made it perfect for outdoor use. LED change the colors (Red, green, blue). Built-In automatic light sensor detects and switches between day/ night mode. 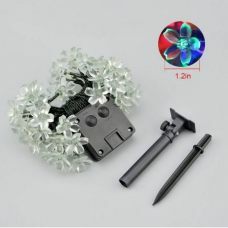 It has a romantic and festive appearance and user-friendly Design. Low-maintenance and cost-efficient product. 300 LED Solar fairy lights curtain Christmas decoration for an outdoor party for Christmas, Xmas, New Year, Easter, Valentine’s Day, Wedding, Birthday Party and other occasions with a rechargeable battery and 8 different lighting modes. Solar copper wire fairy lights string 200 LED for outdoor garden decoration for Christmas, Xmas, New Year, Easter & Wedding party with two different lighting modes.